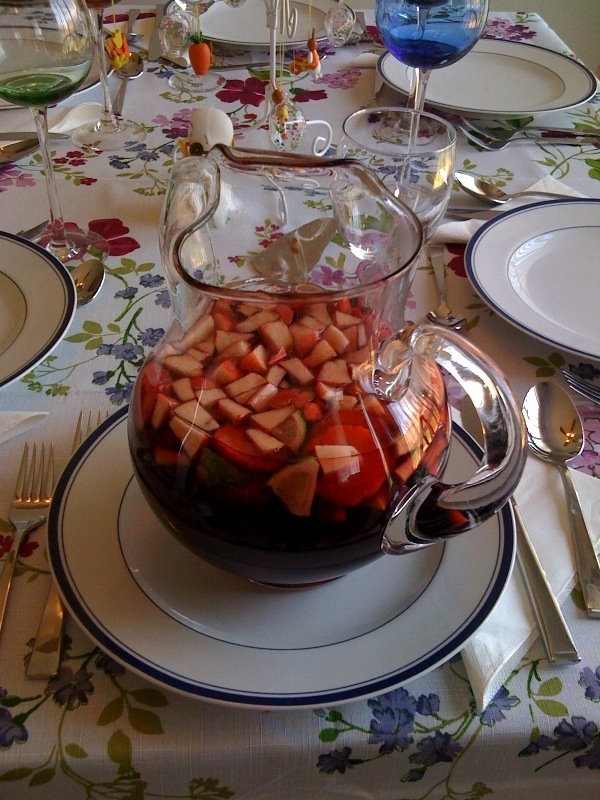 So I made what I’ll loosely refer to as Sangria for Easter this year. It’s somewhere in between punch and Sangria really. It isn’t anything complex, but it came out really well. I figured I’d share in case anyone else was interested. Pour wine into pitcher, dice fruit and add into pitcher, then add rum. The hard part is letting it sit for about 4 hours. Stir once an hour, sneak a taste or two. Add (granulated) sugar if needed. This entry was posted in Friends and Family. Bookmark the permalink.